Bichat lumps are the lumps of fat that form up the tissue of the cheeks. They have a certain weight, which varies throughout life, what may cause a defect of the face oval. The reduction of the cheeks, which involves the removal of excess adipose tissue, is performed to eliminate this drawback. age drooping of Bichat lumps, which lead to defects of the face oval. The reduction of the cheeks is not recommended for people with an unstable weight since there may be a lack of fatty tissue on the face after surgery, causing people to look sickly and tired. Conducting of the plasty is not recommended also in case of poor blood clotting, infectious diseases, and inflammation in the area of intervention. Immediately after the procedure, there is a slight swelling of the cheeks, and the numbness is possible. Symptoms disappear within 2-3 weeks. The complications are possible if the patient harms the correction place during a meal or while asleep. Correction is performed under general anesthesia. Most often this is due to the psychological aspect, because most people are hard to tolerate the manipulations on the face. In some cases, local anesthesia may be used. A small incision (1-2 cm) is made on the inner side of the cheeks on the mucosa. Bichat lumps are removed and the incision is sutured with the cosmetic seam. The whole session takes 1-2 hours. The physical activities, visits to the baths, saunas and solarium should be excluded for 2-3 weeks after the removal of Bichat lumps, as well as it is necessary to reduce emotional stress and do not use facial expressions actively. Also it is recommended to sleep on the back and take in soft and not too hot food in the period of rehabilitation. After the correction procedure, the facial oval gains prominence, cheekbones are formed, a clear chin line emerges and nasolabial wrinkles are smoothed. You may trace the effect by photos of our patients before and after the procedure, as well as know the details from the reviews in the "Reviews" section. In "Our prices" section you can find out how much the surgery to remove the Bichat lumps costs. But the cost is also influenced by the need for additional analysis, the complexity of procedure, and other aspects related to the individual characteristics of the patient's facial structure of the oval. You can find out the exact price after consultation with our specialist. 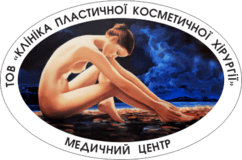 Poltava "Clinic of Plastic and Cosmetic Surgery" Medical Center LLC is using professional equipment, certified products, the latest technology and has a team of specialists that will help you to obtain the beauty and confidence.